It’s got energy. It’s got street cred. But … I can take it or leave it. Really short, so I didn’t waste much time on it. Okay. 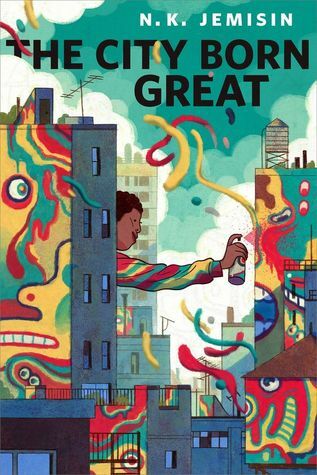 Better than okay, but I guess you’ve got to be one with a city–any city, but preferably NYC. I’m not. Not into the profanity either, but that’s me. In my search for different and interesting ‘small screen’ series to sample, I stumbled upon a couple of good ones recently: Human Target (from 2010 but cancelled after second season) and The Fall (from 2013 with three seasons to date). I’m still watching Limitless, pausing briefly after watching the pilot to watch the movie that spawned the series, but otherwise continuing with 2-3 episodes per week. Terry and I have finished two of three DVDs for the first season of Human Target. I was hooked after the first episode, and not just because Christopher Chance’s pet was a Rottweiler named Carmine. This show packs a lot of punches into a scant hour of programming and each episode is something completely different. It’s fun to watch and even has me looking for the original graphic novels to read, but libraries are totally not up to speed in that area. An excellent development of one exceptionalist view of the founding of the United States of America. Written in 1977, some cultural references now seem either quaint or prescient. 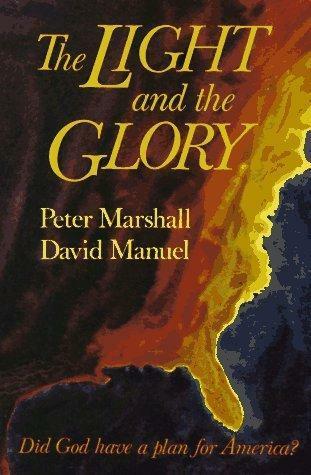 Like Evidence that Demands a Verdict, this book draws heavily from primary sources (eyewitness accounts, letters and journals, not just other histories), in this case to argue for divine participation in the discovery and development of America. 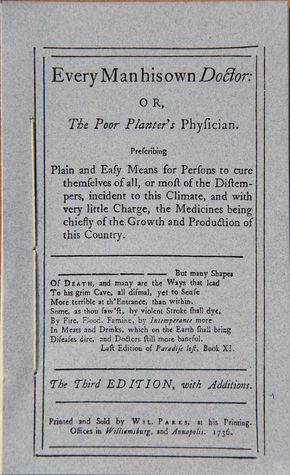 This 1737 guide to home medicine was widely available and followed in colonial times. Benjamin Franklin is reputed to have been among its printers and distributors. 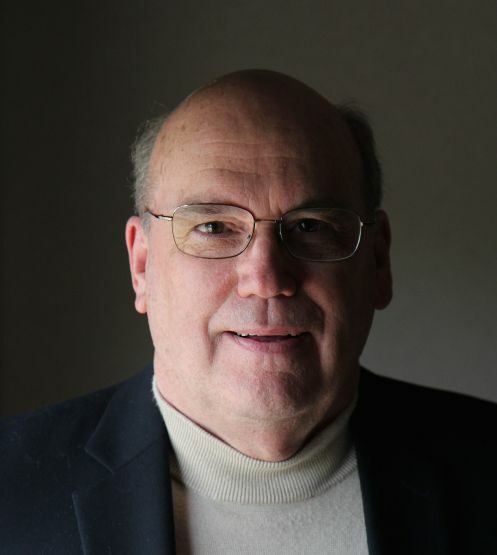 The book offered a cure for everything from “vapours” (“Hysterick fits”) to cancer. Medicine in that century could only deal with symptoms, because true antibiotics–indeed the germ theory of diseases–was in the future. Sometimes getting symptoms under control and letting the body heal itself sufficed, other times not. A disturbing number of treatments including repeated blood letting. Entertaining, if gruesome. (I read it researching a Revolutionary War historical fiction.) I think our medical care is better now, though some of the home cures you see on Facebook make you wonder. Thank God for antibiotics and vaccines. 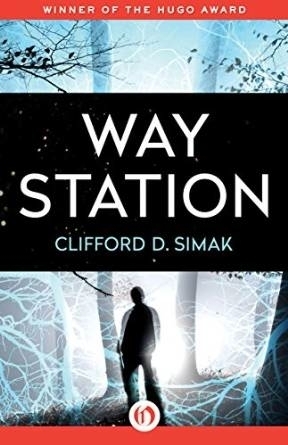 Excellent military science fiction. Better than average space opera; better than Tom Clancy; almost as good as John Scalzi. These characters–good, bad and other–have souls. 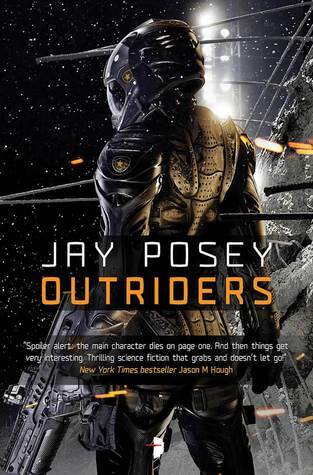 Mission Impossible meets Starship Troopers but with a soul. Almost five stars. In Defense of Reading Fiction 104. Expand Your Mind. We’ve discussed how reading helps us live longer, think better, and meet interesting people. Now let’s explore how reading fiction lifts us out of the here and now into realms where the struggle to survive is surpassed by the search for truth, beauty, goodness and the transcendent. A whole different (Technicolor, high definition, surround sound) reality may reside over that rainbow. He was also a participant in most major and many minor military actions in and around New York City throughout the war. 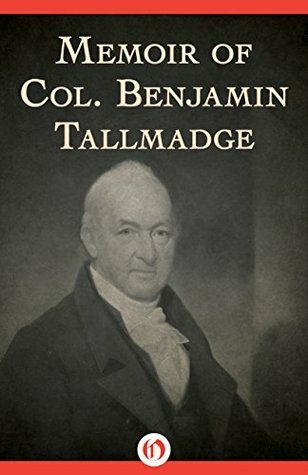 Though these memoirs were written forty years after the fact, they provide a literate (Tallmadge graduated from Yale in 1773) record of American leadership and battlefield fortunes. 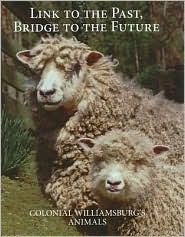 An enjoyable, lavishly-illustrated report on the Colonial Williamsburg Foundation’s ongoing effort to identify and preserve history animal breeds typical of the Colonial experience. A good overview of efforts to date with a short narrative of the history of that animal type in colonial America and how the breed selected came to represent that species. A fine memento of a visit to Colonial Williamsburg. Coffee table book for those who still have coffee tables. I’m ambivalent. Billed as a theater worship experience but it’s a made-for-TV quality infomercial about Hillsong United, the music arm of Hillsong Church of Australia. Perhaps it was the theater but, even with the help of subtitles, the lyrics were hard to follow. The sound was so loud it was apparently over modulated the theater speakers, especially at the “big” concert at the Los Angeles Forum. (My Bose sound reduction ear buds reduced the sound level, but did not increase the clarity.) Disappointing. I like Hillsong United music, but …. My advise: don’t waste your money on the movie; go buy one of their CDs.